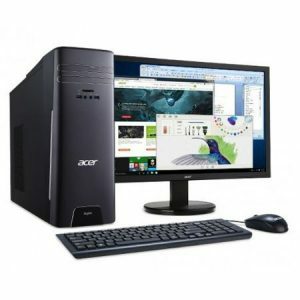 Download ACER Aspire T3-710 Desktop PC Windows 10 64bit Drivers, Software and Manuals. Update copyright from year 2016 to year 2017. 1.Update uCode to M36506E3_00000081_00000082 to fix HDD hang up issue 2.Update Intel RC to v1.8 from CRB30. 3.Fixed system can't launch UEFI PXE ROM when CSM is always and Boot Filter is UEFI. 1.Fix disabling also external LAN in PCIEX1 slot when disabled onboard LAN controller. 2.Reduce system ready beep time. Makes a beep as early as possible. 3.System can't dynamic change CD-ROM icon when insert CD into OS.